Put on your flirty face! Also, happy lunar new year!! Zhang Hui and Gong Zhi Qiang have been bffs since their college days. 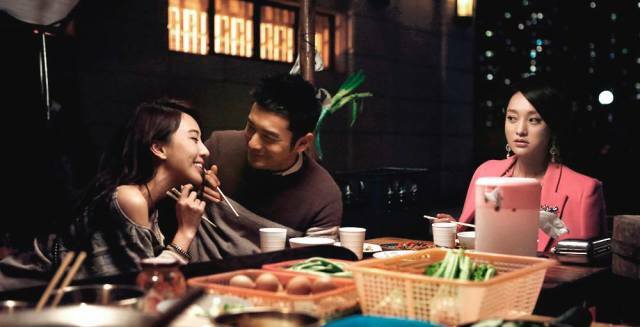 Zhi Qiang treats Zhang Hui like one of the bros, but what he doesn’t know is that she is totally over the moons about him. She’s not worried though because Zhi Qiang has vowed to not date until he is financially stable and successful. Everything changes though when Zhi Qiang meets flirty gal Pei Pei on his business trip to Taiwan. He becomes quickly infatuated and two start a romantic relationship, much to the dismay of Zhang Hui. There is no room for three in love, so who will be the last woman standing? This review comes a little late for Valentine’s Day, but it is still as cute as ever for a date night (or a girls’ night really, because if my significant other is any indication of the mass, then boys really only tolerate these shenanigans because of us). The premise is one that I love – two best friends who finally take it to the next level? Oh, yeah, I’m all over that. I mean just look at my favorites, it’s full of it and I never get tired of this type of story, even if it follows the same formula. Now that I’ve stated my bias, let me get on with the review. Women Who Flirt is sort of Miss Congeniality meets My Best Friend’s Wedding (with an alternate ending, of course) in that this is clearly a romantic comedy with a lot of funny scenes. 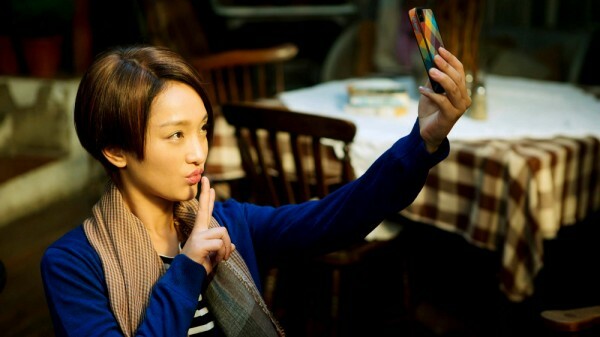 Zhou Xun is great as tomboy Zhang Hui who is desperate to win her man by enlisting the help of her friend and a group of flirty girls. She really went all out by putting herself through some pretty embarrassing scenes, and you know only someone comfortable enough on screen can pull off this kind of humor. I can totally dig that! Plus I love that she is using her real voices these days because it is husky and unique. Say no to dubs, please! Huang Xiao Ming is okay. This is not really a story about him though, so his mediocre acting skill is like whatever to me. They could have placed any good looking dude in his spot and it would have been just as fine. I did enjoy his onscreen chemistry with Zhou Xun – they are clearly comfortable with each other and have an established ease around them which helped to convince me that their onscreen story is legit. I haven’t been a Sonia Sui fan as of late, especially after her lackluster performance in Mr. Right Wanted. I told Anna that Sonia is in this movie and she gave the me “ugh” response. Sorry to all the Sonia fans out there – it’s not that we don’t like her, but can she pick more lovable roles??? Anyway, her character was totally fake and annoying to the max, but she is not meant for us to love. Oh, wait, I hope I didn’t spoil the ending for you – I mean, was there ever any cliffhanger to begin with? The good thing about watching movies like this is how simple and straightforward it is. You know what the ending is probably going to be even before you pop in the disc. It is a typical romantic comedy that’s light and fluffy, so there’s no need to pay extra attention to every detail or line because it likely will not alter the plot. It’s one of those films you watch because you are tired and you just want to put your brain on auto pilot. And that is fine by me! Zhou Xun starred in Red Sorghum, a series based on famed novel by Mo Yan, the first mainlander to receive a Nobel prize for literature. This series also marked Zhou’s highly anticipated return to TV after ten years. In 2014, she starred in rom-com Meet Miss Anxiety with Tong Da Wei, as well as crime film Overheard 3 with Sean Lau and Louis Koo among others. On July 16 of the same year, she married American actor Archie Kao, the blue power ranger. Huang Xiao Ming was in The Crossing, a film of the Chinese Revolution era directed by John Woo. It also starred several notable Asian actors, including Takeshi Kanershiro, Song Hye Kyo and Zhang Zi Yi. Part 2 of the film will release in May this year. Huang admitted to his four year relationship with Angelababy when he gifted her with a Lamborghini on her birthday in February last year. He will be in Cruel Romance with Joe Chen, premiering on March 8. Sonia Sui started off as a model but has done her fair share as an actress. I think the series she is in with Joe Chen and Tiffany Tang, Women on the Breadfruit Tree, will FINALLY air this year after 3 years of delay. She got married to Lai Pei Hsia’s step-son, Tony Xie, in Jan. 2015; the couple started dating October of 2014, but met in April. Trailer looks funny and HXM looks like pretty vase here. Me thinks the role is just right for him. And despite how much I like Xie Yilin and the funny roles she always play in dramas/movies… I think it’s time for her to go for more challenging roles. I agree about Xie Yi Lin! She needs to break out and do something different. Her role in the series I’m recapping now is also of a similar variety. I wish she can do something more serious and intense to really showcase her acting talent. I watched this yesterday, and it was really funny. I actually watched WMF because of HXM, I haven’t seen the other actresses in any other movie or drama yet. Very true about TWHW, it was a let down.